CW’s The Originals” is filming a new season and is casting extras to appear on episodes now filming. The show will be shooting a Halloween scene and is casting people who have their own Halloween costumes that they could wear for the shoot. These must be pretty generic costumes and not have any trademarked characters on then or resemble any trademarked characters such as any of the comics. Tammy Smith Casting is looking for men and women who are 18 and over that are available for work in the Conyers area where “The Originals” films. This will be a night time shoot and may go as late as midnight or maybe even later. The new season just began filming this week and will continue filming into the spring of 2015 so those who may nor fit the specs below will have plenty of other episodes to apply for. The extras cast for “The Originals” will be paid for their time. Pay is about minimum wage with a possibility of overtime if the filming goes over 8 hours for the day. 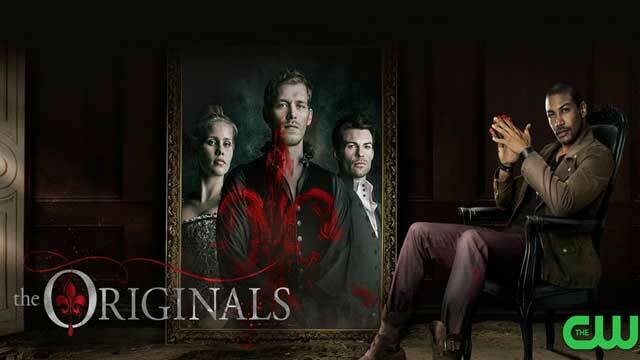 “The Originals” is a spin-off of CW’s “Vampire Diaries“. “Vampire Diaries” has also just began production on the new season, also in the Atlanta area. If interested, you can see all the details for the casting call below. Casting for MEN and WOMEN, ages 18 and over for a HALLOWEEN FESTIVAL SCENE! NOTE 1: We CANNOT use anyone in a trademarked brand or icon (i.e. superheroes, cartoon characters etc…). NOTE 2: We are hoping you can send us photos of you IN your costume that you own or have access to!!! IF you can’t get your hands on a photo of you in costume in the next few days, just submit with your regular photo and DESCRIBE your costume in detail so we know what you can do! NOTE 4: We are posting this now, so that we can gather the right costumed people for this. PLEASE, take a little time to submit a COMPLETE submission, rather than rushing to get one in. ALSO, if you submit but then need to send other pics or updates, etc.. then please re-submit with a “revised” submission, so that ALL of your info and photos are all together in one complete revised email. Thank you! ** and IF you have a costume, mask or have dressed up in the past for Halloween with scary or elaborate make-up, etc.. and you cannot include a photo of it in your submission, then INCLUDE A BRIEF DESCRIPTION of your costume or what you can do!! This one is going to be a really fun one!! My daughter is 17. I can bring her to casting calls. She will be 18 in February. Is this age of 18 non negotiable. Thank you for the updates .